At Bytewire we've been making complex websites for small / medium businesses for a number of years and together our team has a combined industry experience of 12 years+. We focus specifically on provisioning businesses with web focused business tools. We create cross browser & cross device compatible websites for business. We make sure your business capitalises on all the possible devices your visitors could be using and advise you of how to target content for the new wave of Smartphones & Tablet devices. 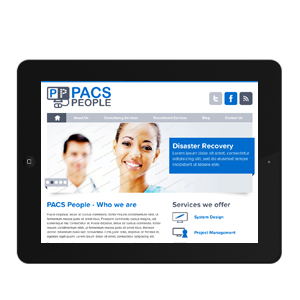 PACS people is a start up that specialises in Healthcare IT consultancy and recruitment, with a particular focus on Radiology IT. Create to increase brand awareness and improve marketing and communications. 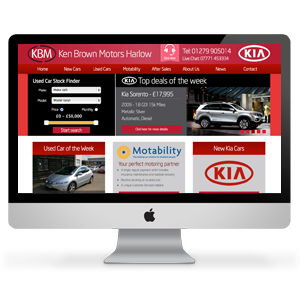 Kia Ken Brown Harlow - Full bespoke content management system and risk sharing extensive online marketing campaign for lead generation. At Bytewire we design, develop and build websites and web applications for business. We enable and advise businesses on how they can harness the power of the web today. Your business website needs to do two things: attract new visitors, and convert those visitors into customers. Bytewire have the skills and experience to ensure your website does both, helping you generate more revenue in the process. 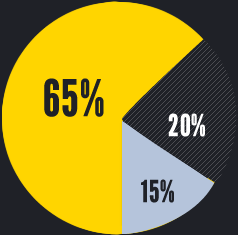 The mobile web has exploded! With the now standard access to 3G networks (set to soon become 4G) and the rise of smart phones the internet is at the palm of millions all of the time. Simple to use, portable and always-on, mobile devices & tablets are changing the way businesses operate, capture and manipulate data. Bytewire can help your and your business take advantage of this. Due to the explosive growth the internet has experiences in the last decade, it's now ultra competitive in many respects. That's why now more than ever it's important to have strong Branding & Identity online and off. We create innovative designs and logo solutions for businesses, helping to make sure your product or service carries a strong memorable brand. With consultations and revisions we'll deliver that telling identity your business needs. Some web development agencies give businesses the impression that all they need is a pretty website. Once the new website is operational, the visitors and customers will follow as sure as eggs is eggs. This all sounds great, but the reality is that a functional website is simply the start of the process in creating a successful online business. The key is Marketing, SEO falls under this. A successful SEO campaign can improve your organic listing position for desirable keywords such as 'recruitment essex' in the worlds biggest search engines. Do any of the below sound like your business? 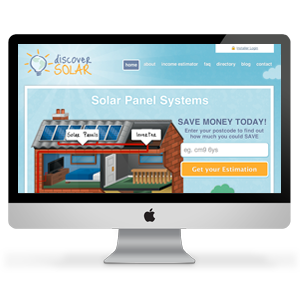 Need a professional website design company in Essex? Want to be in control of the content on your website? Need a Professional web agency that really knows it’s stuff? Need a solution for your online marketing? Need to convert the traffic which comes to your site? and a chat about your website? 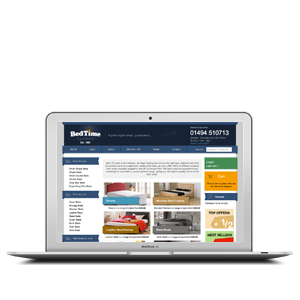 Bytewire is a web design and web development agency, based in Chelmsford, Essex. Small, yet perfect for any web design or web development project. We can take care of almost anything web design and web development related, and by partnering with us your venture is more likely to become a viable business asset and not just a 'website'.